St Clair is Calling - Going Going Gone! Make no mistake, the instructions from my owners are loud and clear. It's time to relinquish our wonderful low maintenance St Clair home to a lucky new owner, on or before Auction day. This home is perfectly Positioned only an 8 minute stroll to the esplanade and stunning St Clair beach and the café lifestyle on offer. This home offers three good sized bedrooms, all with plenty of storage, and is very comfortable and liveable from day one. But imagine the possibilities to take this solid 1970's brick home to a new level with modern décor and fit-out benefiting the superb location. The kitchen area leads onto the dining space and a sunny conservatory that provides extensive living/entertainment space. Feel the sun streaming in as you put your feet up while resting in the conservatory and place yourself in the best position to suit the time of day where a glass of wine and a good book will revive the soul. Large separate living area with high ceilings, heated by a gas fire, and a floor mounted heat pump in the main hallway and of course wonderful sunshine all through the day. There is a spacious family bathroom with shower, double vanity and toilet and also a separate second toilet and large laundry, with additional storage. Large double garage with space to the rear and sides for storage, remote operated. The garden is low maintenance and fully-fenced for pet and child's safety and security. Rear off-street section with loads of parking. This is a sought after location close to schools, shops, public transport, 10 minutes from the city centre and a short stroll to the beach . 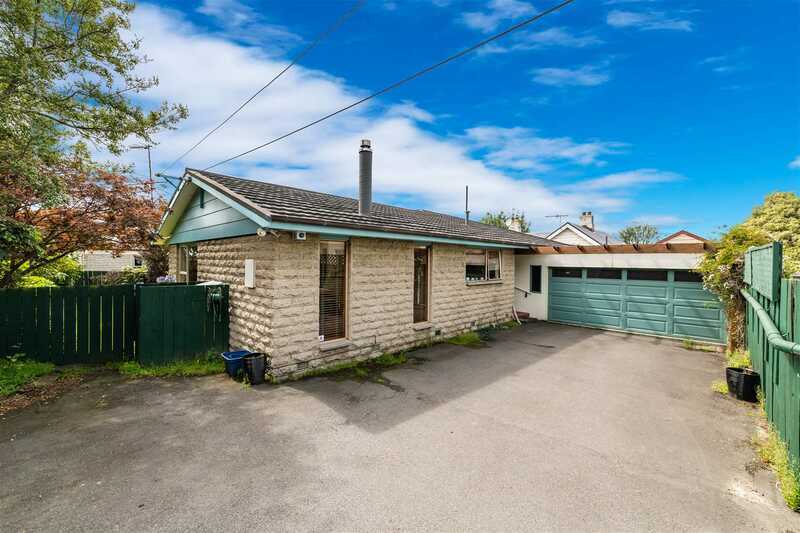 Owner says sell - Give Ganesh a call today to arrange your viewing, Auction to be held at the Harcourt's Dunedin office, 16 Queens Garden 6pm 20th of February 2019. Prior offers considered.